AT2020, Large diaphragm condenser microphone from Audio-Technica. I've been using it for four years. I use it in stereo with a Shure KSM137. To be honest, the value for money of the AT2020 is clearly better than that of the Shure, even if the Shure sounds better (obviously). The AT2020 can handle SPL better than the Shure. 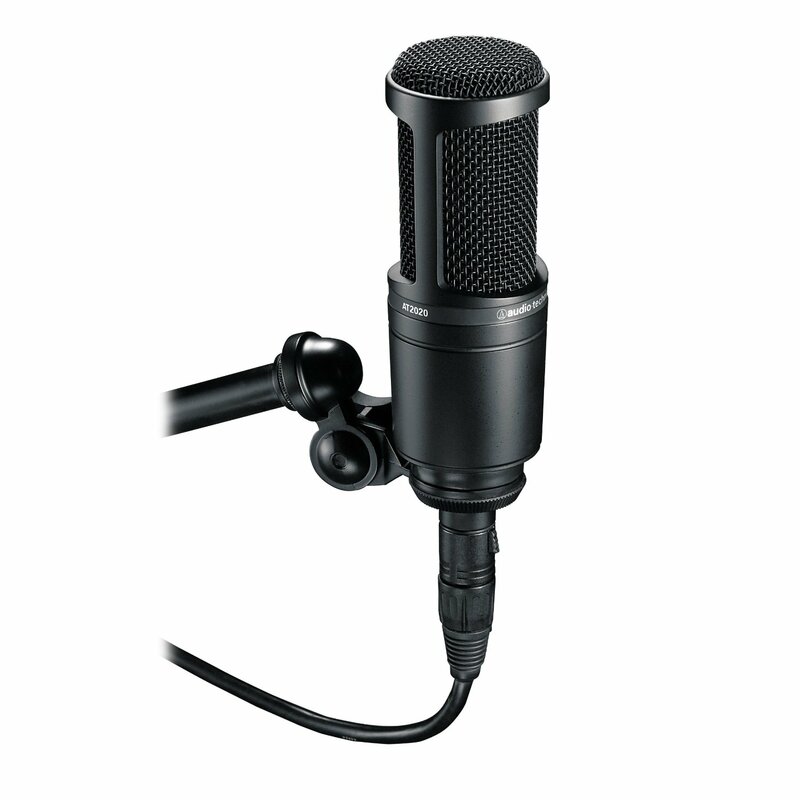 To cut it short: The AT2020 is an excellent mic considering its price. I recommend it to anyone that wants to use it in a home studio, for example. Very versatile to record acoustic instruments (like guitar) or as ambient mic for small combos. Behringer C1, Prodipe ST1 lanen, Tbone SC600. 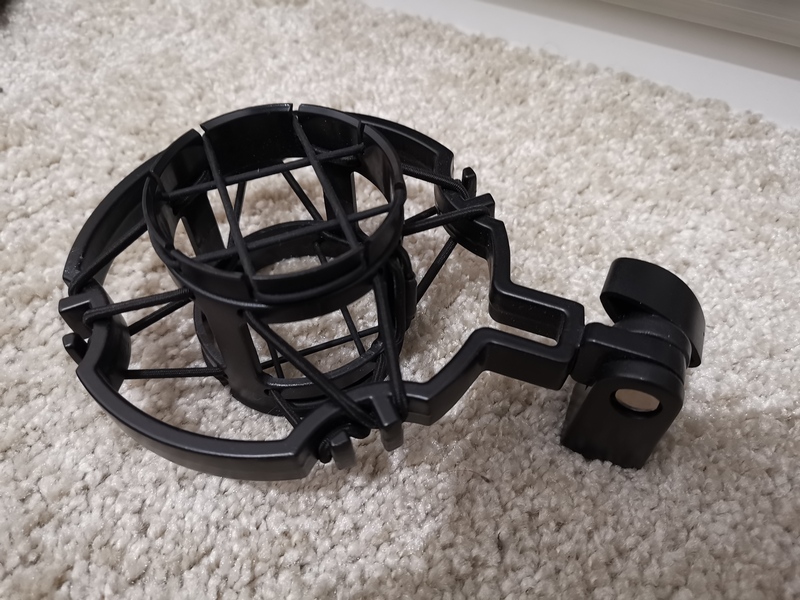 Compared to other mics, it's awesome, but for the time being I prefer to work with my prodipe, which is less flat and corresponds better to the sound I'm looking for. The biggest criticism I can make is that it lacks a 100hz low-pass filter, or even a pad (-dB), but that's something you can adjust on the soundcard or preamp or even during mixdown. But hey, it sounds fine. It isn't that expensive for an AudioTechnica. It's perfect if you are looking for a flat sound you can later process. Yes, but not as a main mic, but rather as a backup mic. 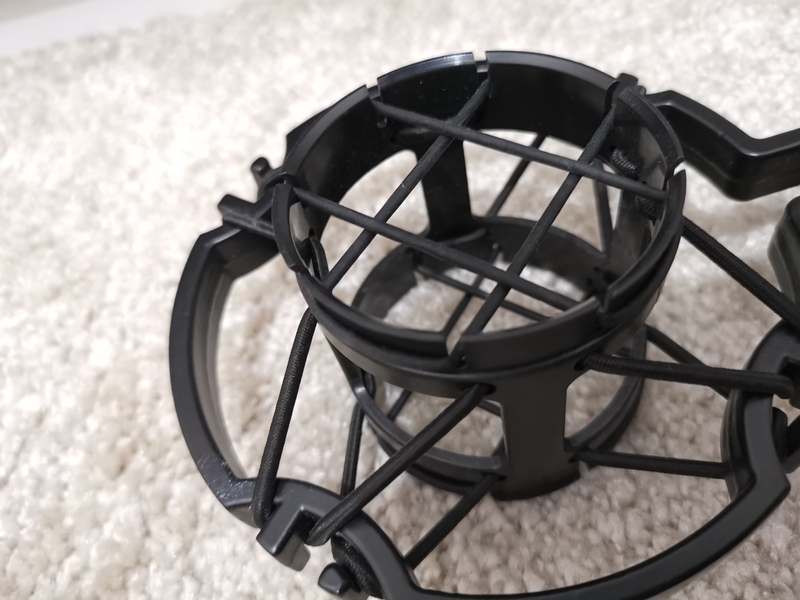 JimboSpins's review"Good sound and a low price"
The AT2020 by Audio technical is a very popular microphone now mainly because of the quality you will get for the price. That was the sole reason that I purchased it, I have heard it many times before I got it and read some really good reviews on it so I gave it a shot. I really like the way it sounded on my vocals and on some acoustic guitar recordings. The only issue was some voice types didn’t sound too well with it. There is another singer that I work closely with and he used it, it did not sound good on his voice so we didn’t even bother with EQ’ing or anything we just used a different microphone. I was not that disappointed at that because of the price. For this price, you cannot expect it to sound great with every voice and instrument. This microphone is perfect for someone who records on the go or mainly from home. It works great in open spaces and does a good job of not picking up background noise when recording. 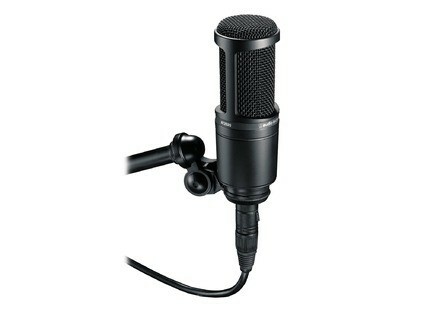 I have used it for some small demo work in public places if I need to record a quick idea or even a voice over. It sounds good no matter where you use it at. Sometimes it does record a lot of “air” though; it will feel like there is a lot of space around your recording which I didn’t like too much. That had nothing to do with the background noise though. 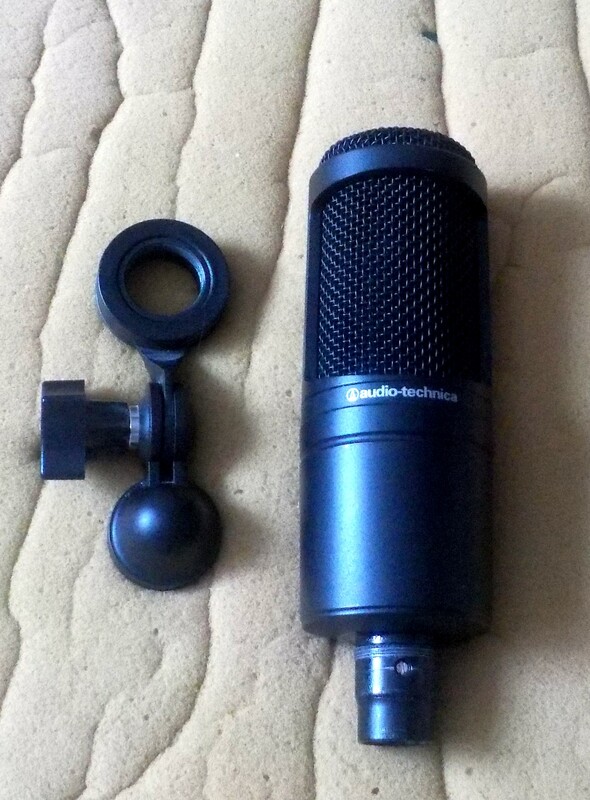 This microphone comes with a cardioid pick up pattern so that is the reason for the minimal background noises. I was surprise that the AT2020 came with a stand too, it has a pivoting stand so you can move the mic around to the way you want it. But bottom line is, this microphone is not for a seasoned veteran when it comes to recording. It is for the small bedroom musician. mitchgeist's review"ATT220 GETS THE JOB DONE"
If you are even involved in a deathmatch on an alien world, and you have to choose just one microphone with which to bludgeon an alien creature into a green paste; the AT2020 is the one you should choose. It's heavy, it's quite sturdy, and it'll only cost you around a hundo to replace it - so it doesn't raise your blood pressure every time it comes out of the case. 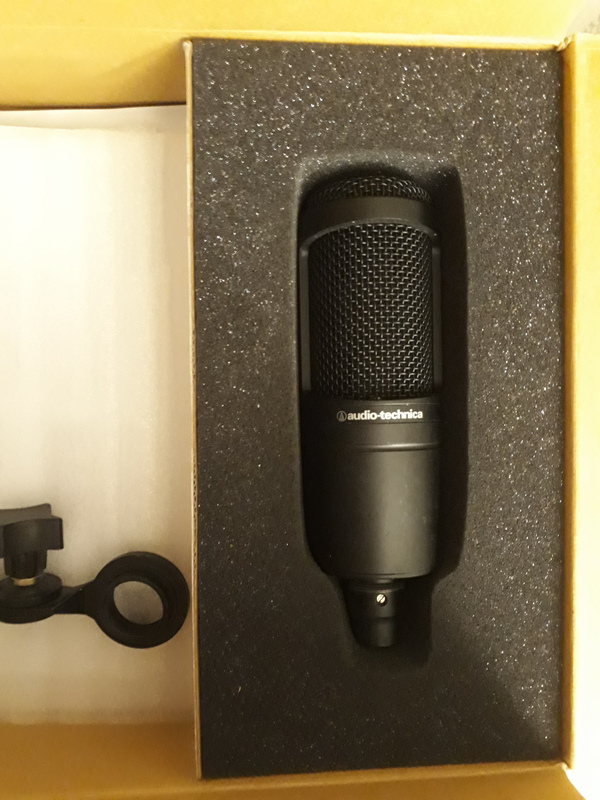 Build quality aside, if you are reading this you're probably wondering if the mic is any good. This is an excellent recording microphone, but it's not going to work as well for live performances. Get yourself a Shure SM58 for that. The mic does a good job of rejecting sounds coming from behind the mic - a good feature when you're trying to bring in as little extraneous noise as possible. This is a great sounding entry level mic. To get the most out of this mic, you need to turn up the pre on your channel strip until you can hear yourself breathing in the cans, and step back so you are between 1 and 2 feet away from the mic. you have to keep a distance. use a pop filter if it helps you to remember. If you are right on top of the mic, even at lower gain levels, you will experience problems. This mic will pick up subtle nuances that you didn't even realize were present in the performance. It will also make you keenly aware of noise in the environment.